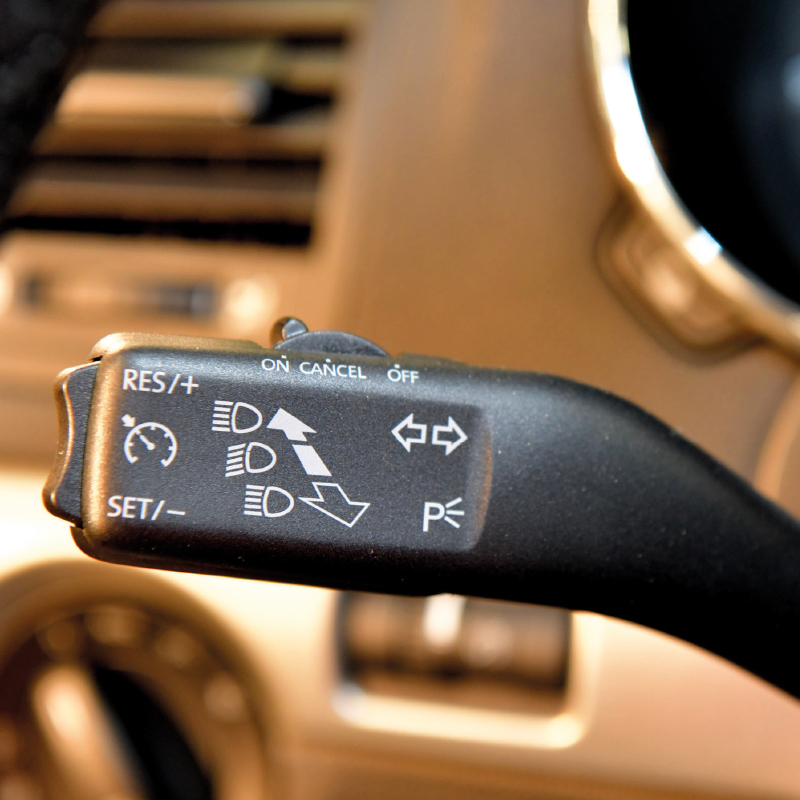 Watch out, I’m Changing Direction! 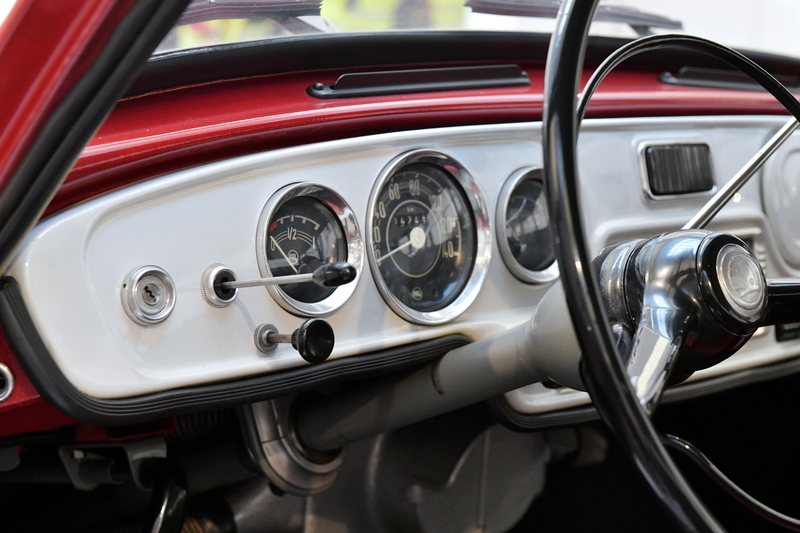 The way drivers indicate that they are turning, another of those seemingly very simple things, has evolved considerably over the past hundred years. 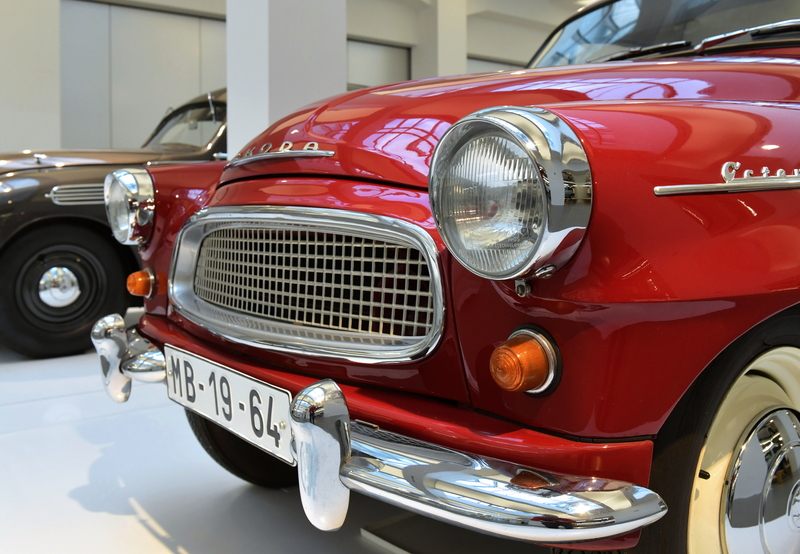 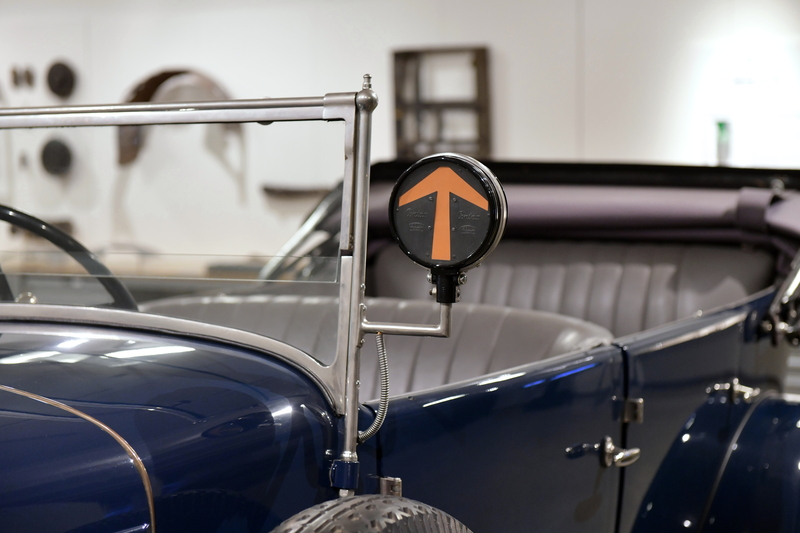 Exhibits at the ŠKODA MUSEUM will show you how it started out with mechanical arrows and ended up with modern direction indicators. 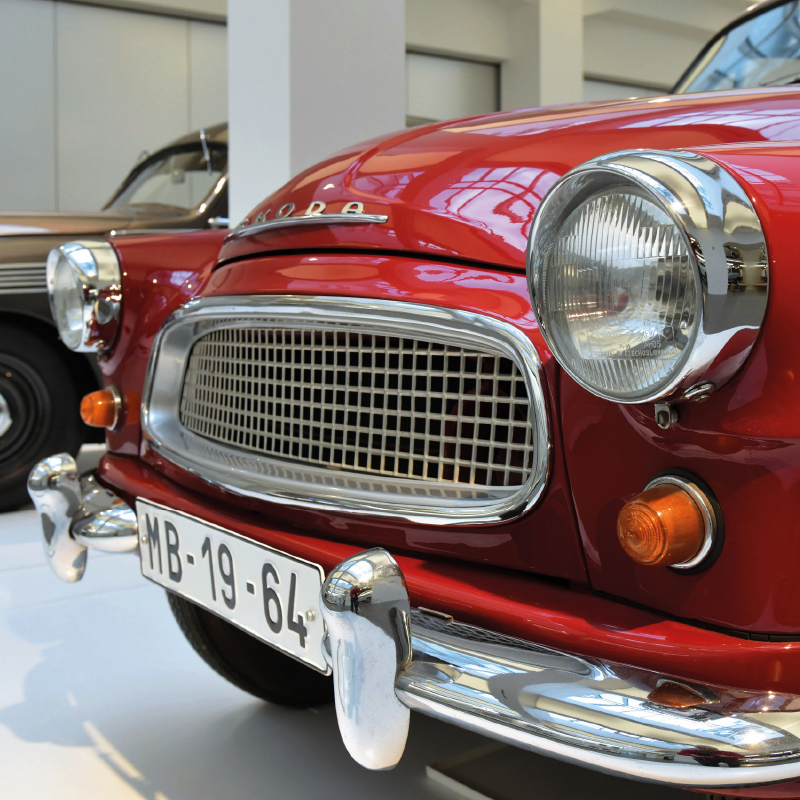 The very first cars had no direction indicators. 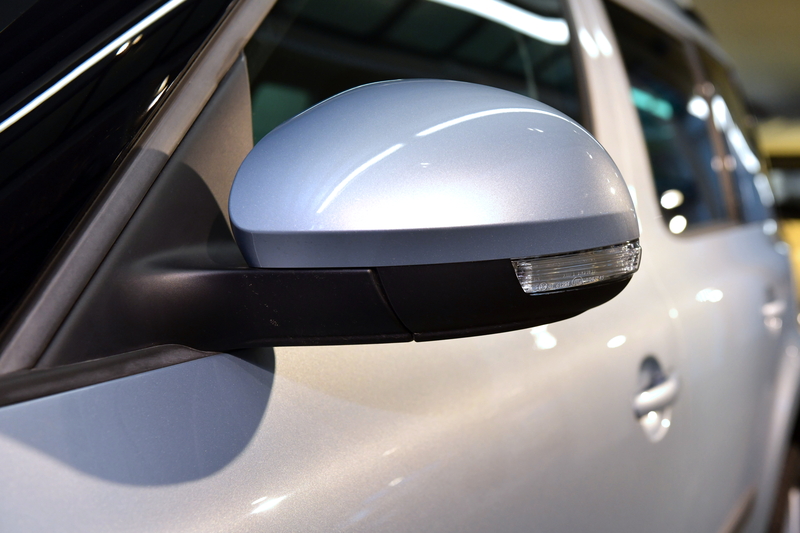 Instead, drivers were expected to stick their hand out of the car and wave. 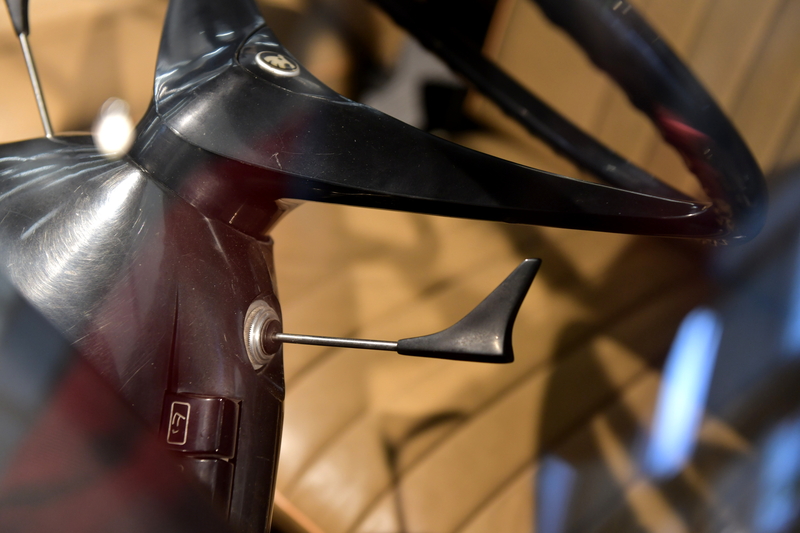 The invention of the direction arrow in Czechoslovakia is credited to Jan Hanuš from Olomouc, who patented an arrow with leather straps for use by cyclists in 1922. 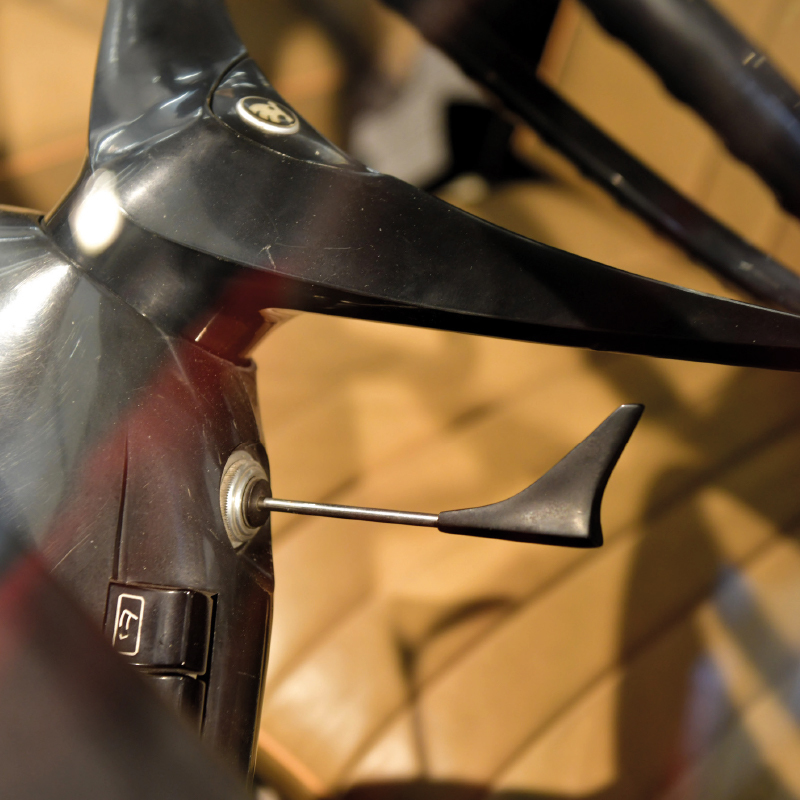 In 1929, the LAURIN & KLEMENT ŠKODA 110 featured a single electromagnetic arrow controlled by a knob on the dashboard. 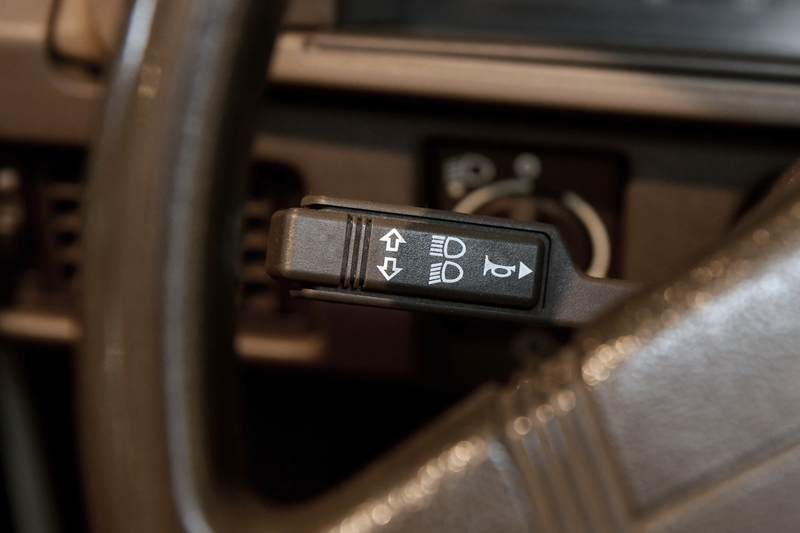 A few years later, the single arrow was replaced with a system of two electromagnetically-controlled pop-out direction indicators, one on each side of the car. 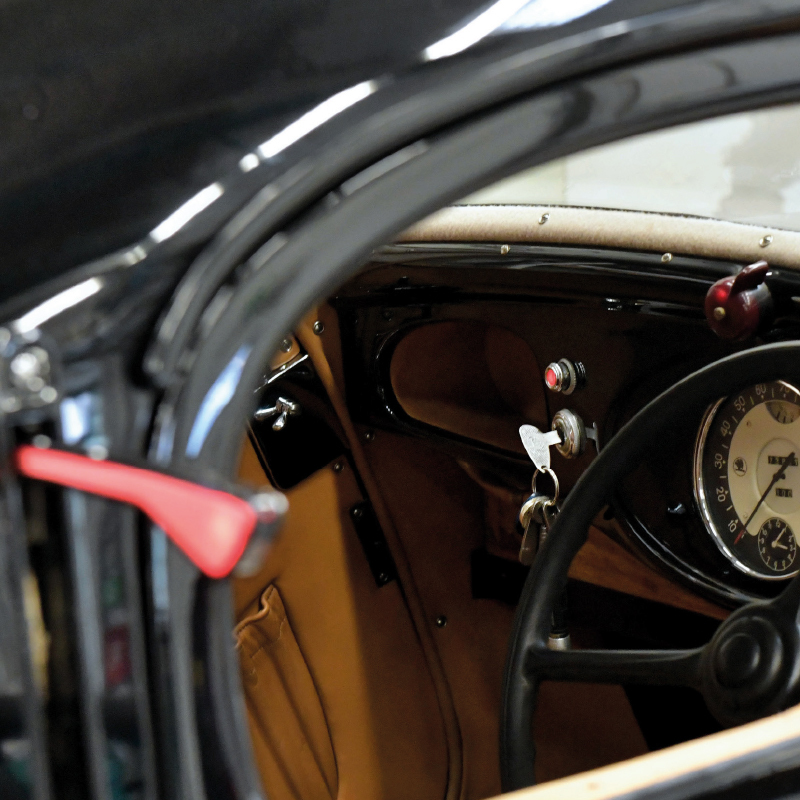 For older LAURIN & KLEMENT vehicles, this solution was a an aftersales optional extra. 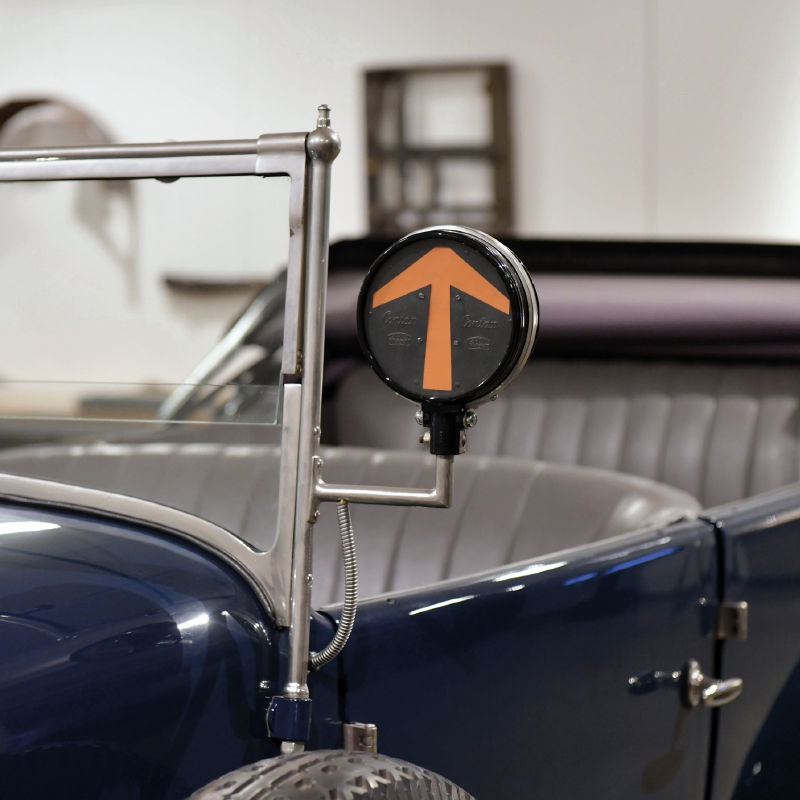 The use of direction indicators in Czechoslovakia was made compulsory in 1939. 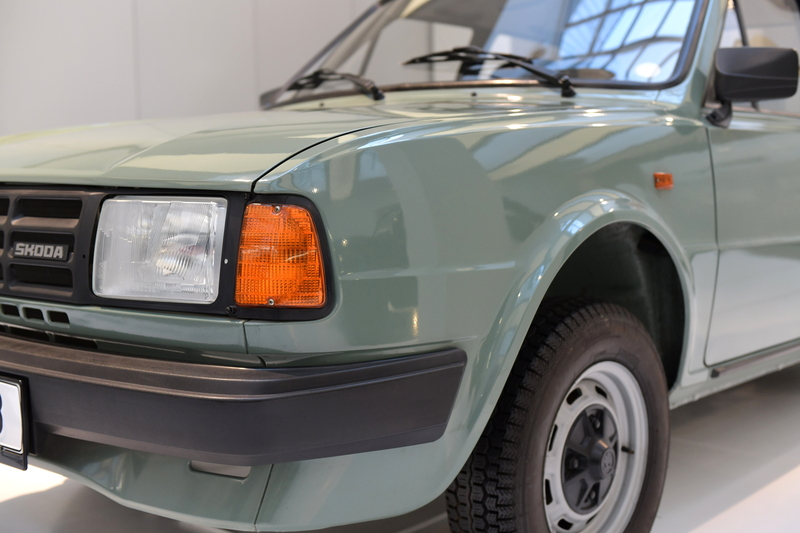 The next stage was a system of electric direction lights with orange glass covers. 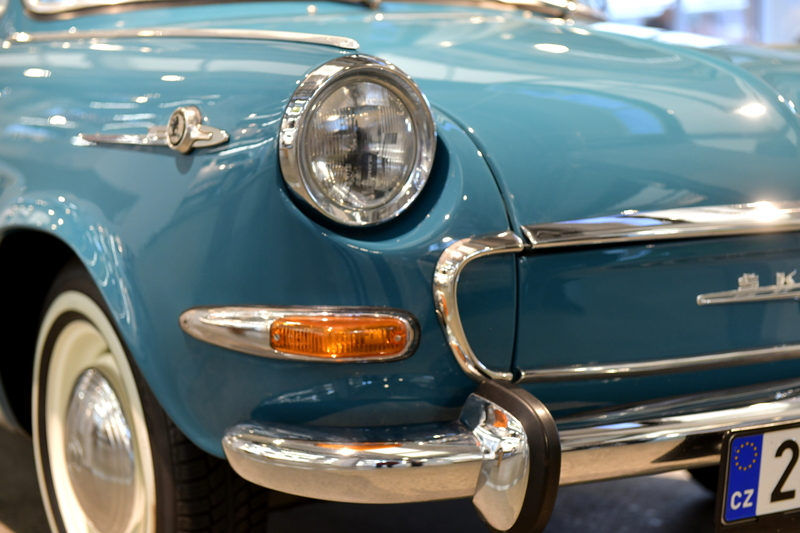 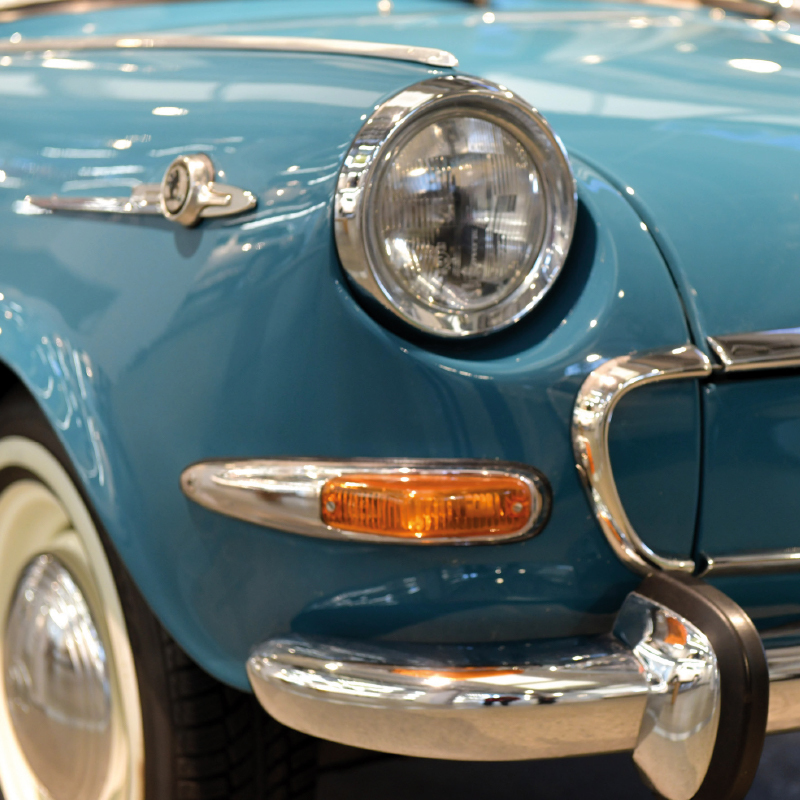 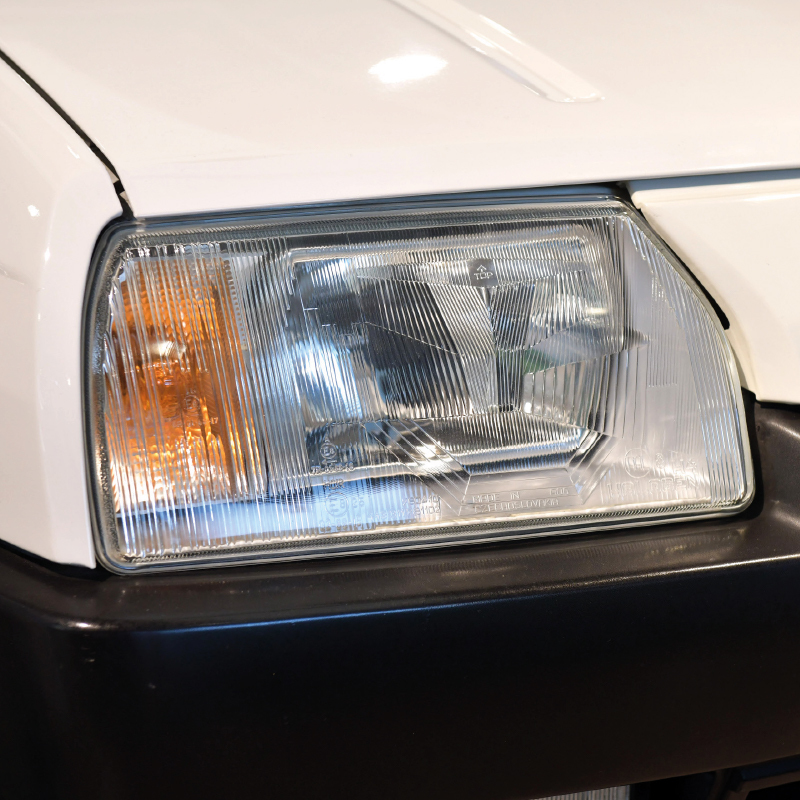 Initially, these were stand-alone lights positioned separately from the headlamps. 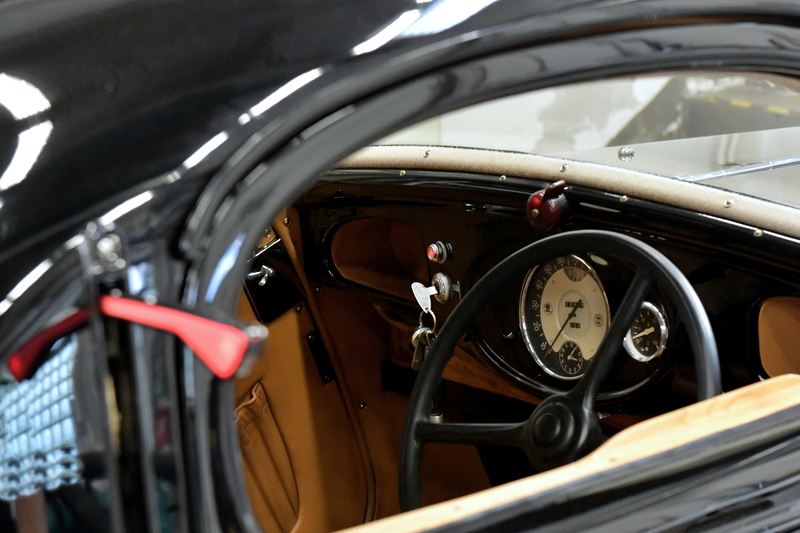 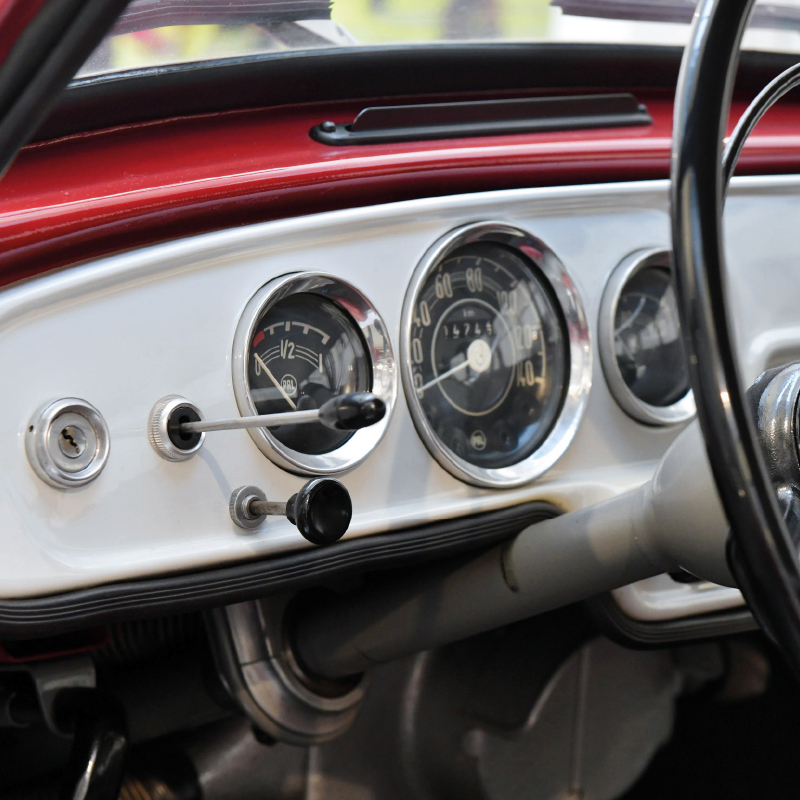 The control switch was located on the left steering-wheel lever. 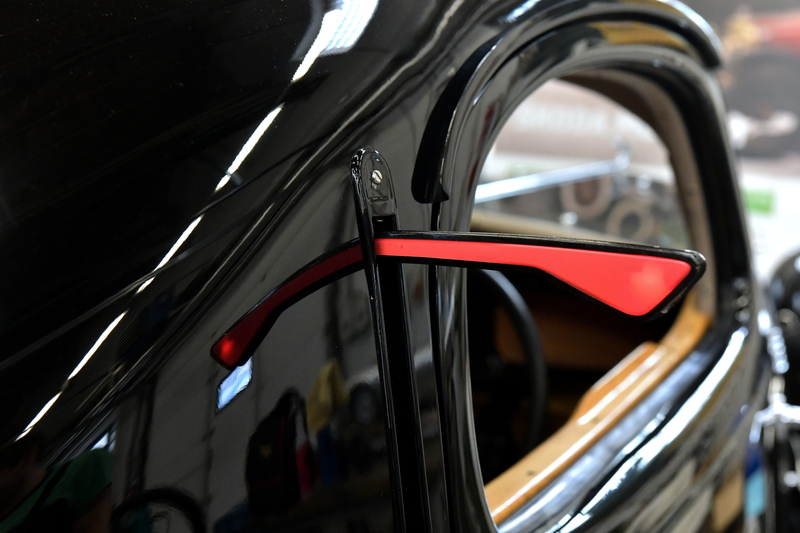 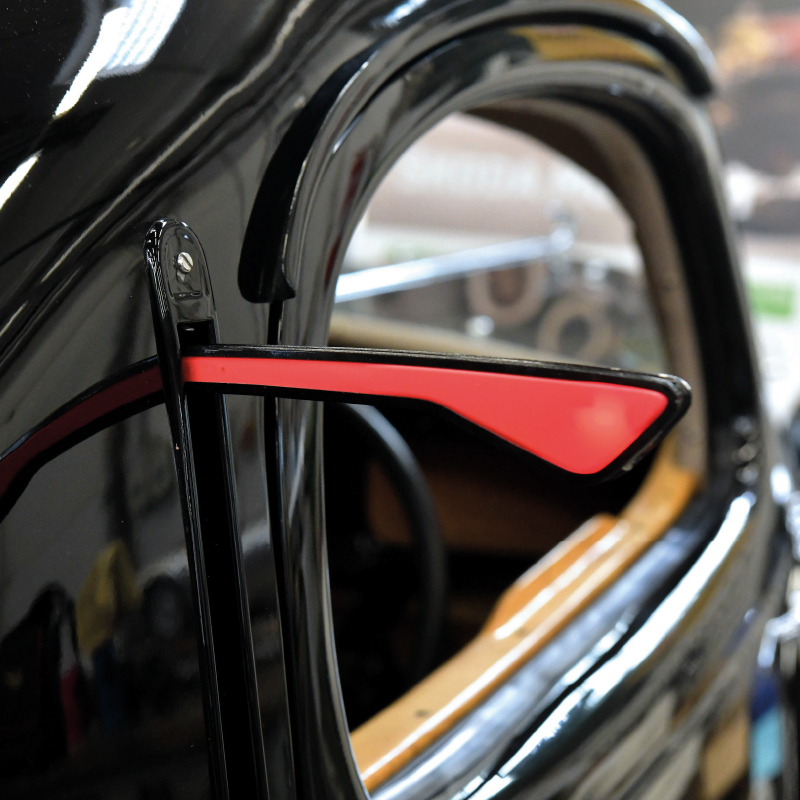 The 1000 MB’s front direction indicators remained separate, but the rear ones were incorporated into the tail light. 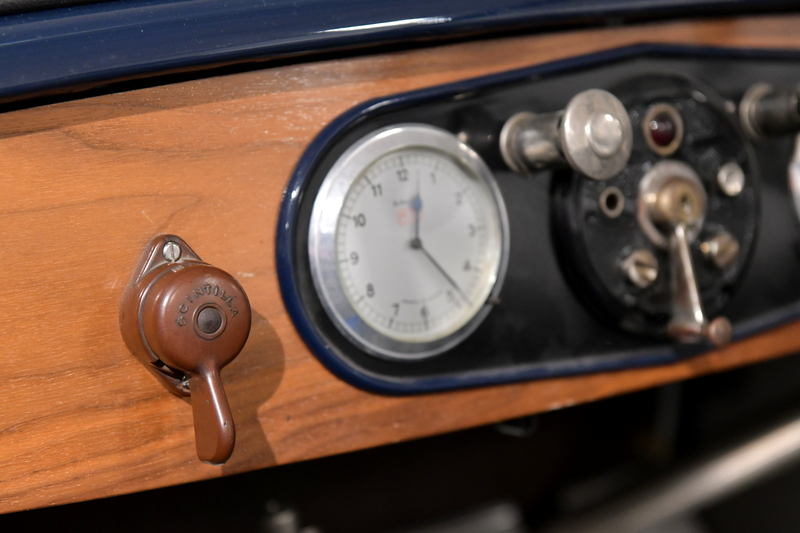 The indicators were controlled by a distinct, flag-shaped lever. 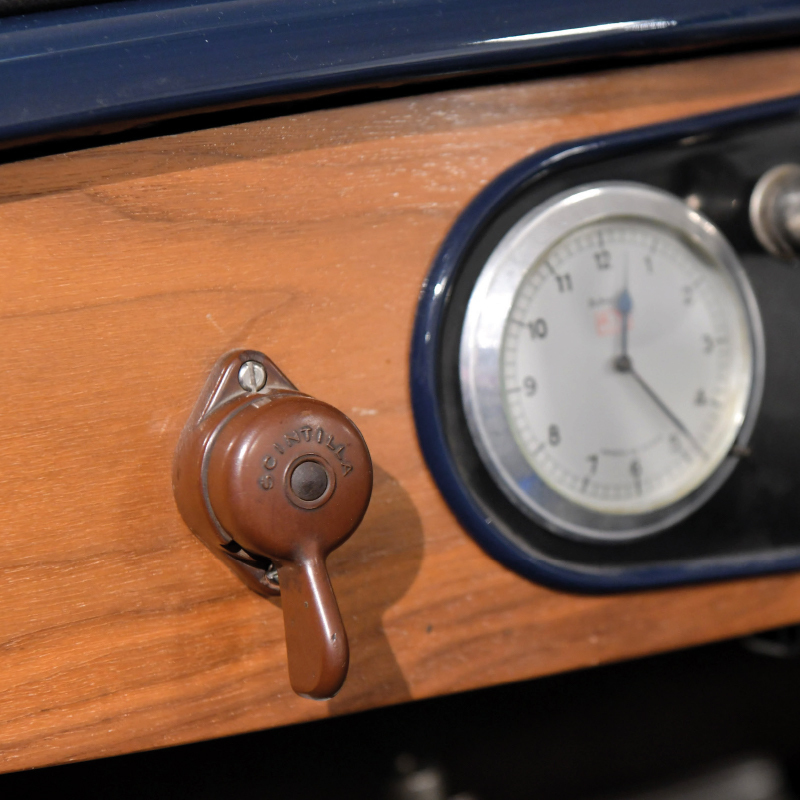 Depressing the same lever activated the horn. 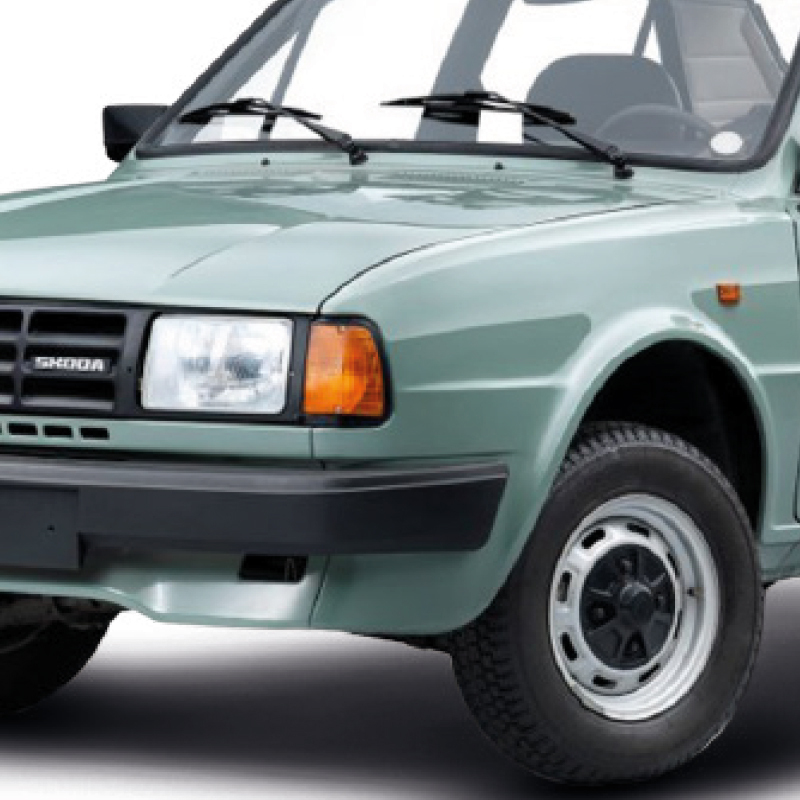 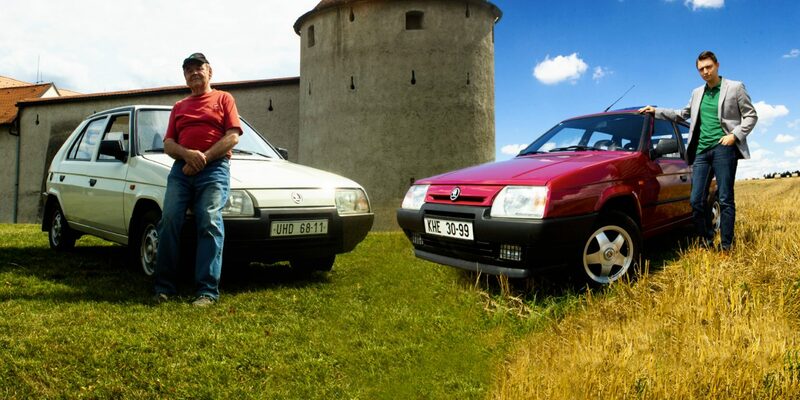 Vehicles in the 105/120 series were the first ŠKODAs to have direction indicators right next to the headlamps, although they were still not integrated. 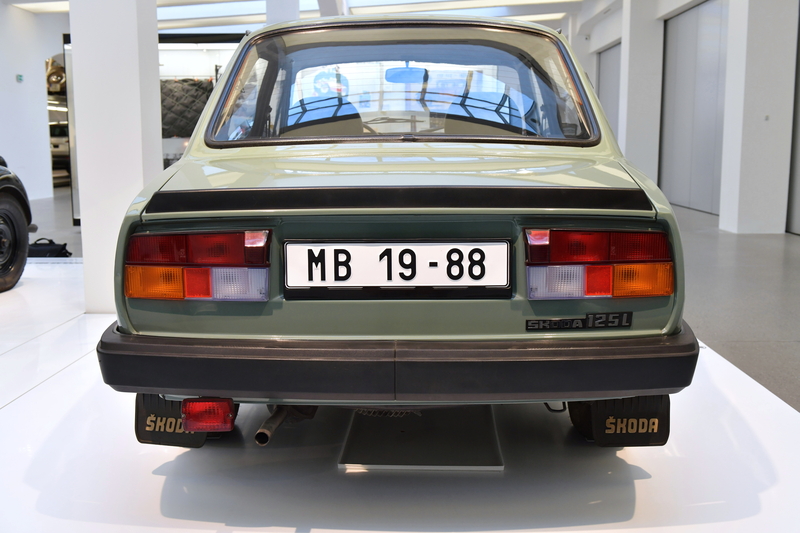 In addition, these vehicles featured small orange direction lights on the front wings. 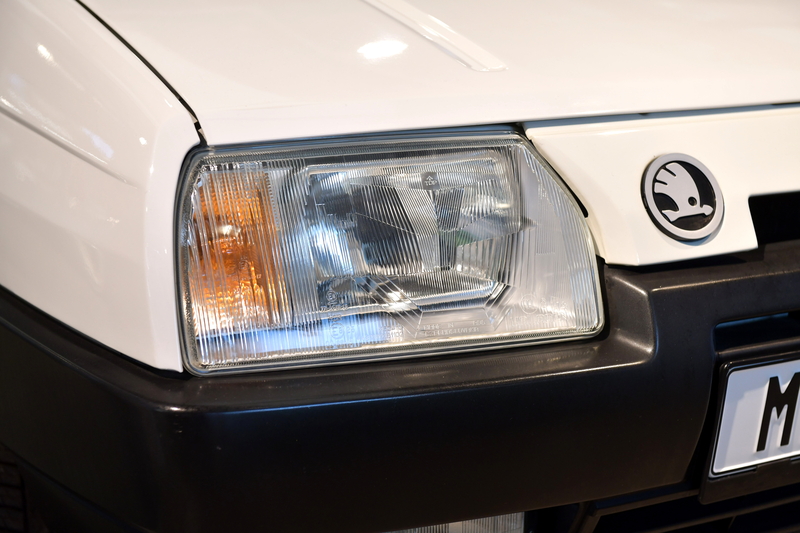 The FAVORIT was the first model to feature direction indicators integrated into the headlamp and sharing the same glass cover. 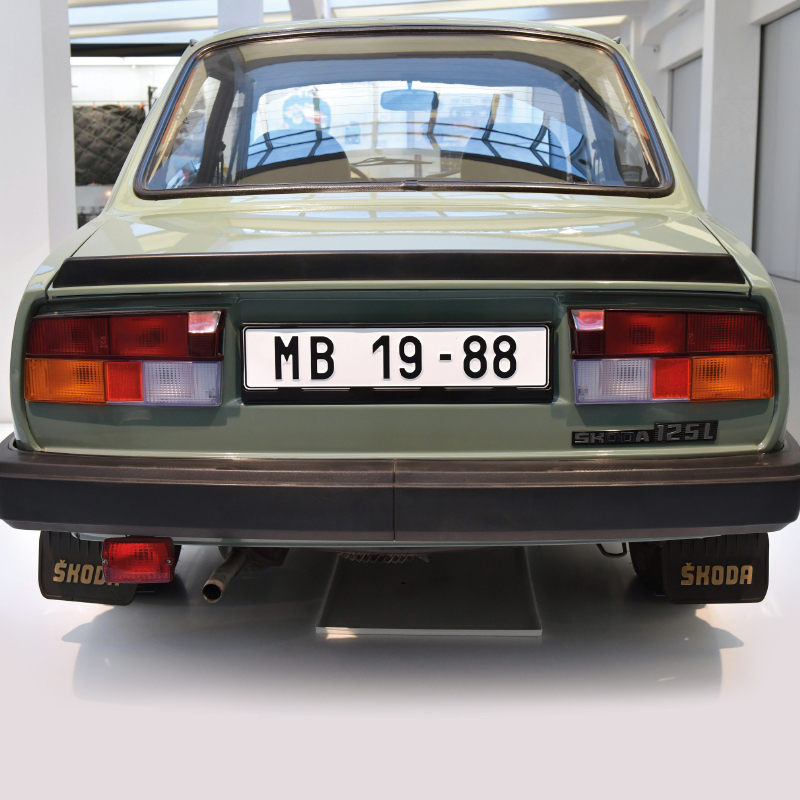 The small orange direction indicators on the front wings only lasted a few years before they were relocated to the wing mirrors. 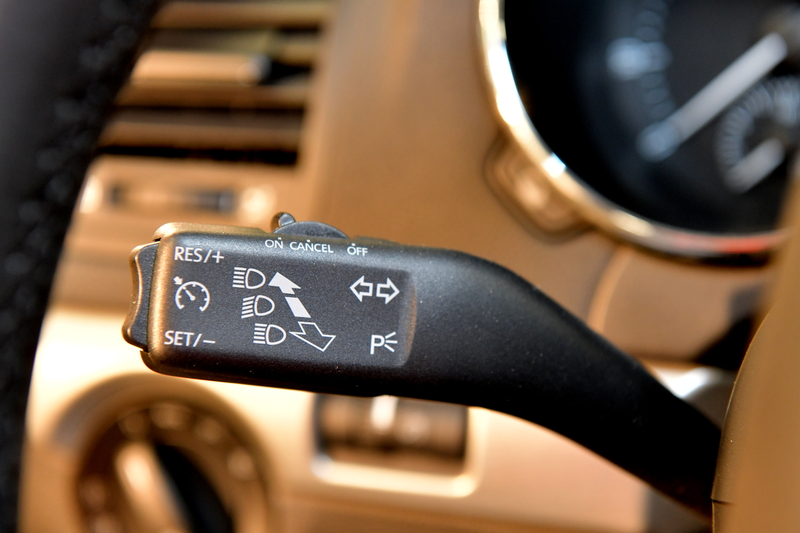 The control lever lost the horn function in order to make way for other features, primarily cruise control. 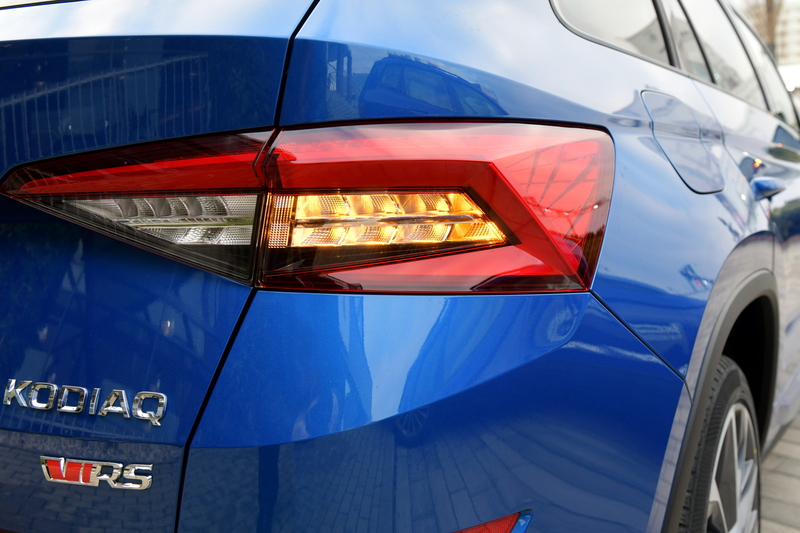 Today’s direction indicators, such as those on the ŠKODA KODIAQ, are fully integrated into the headlamps and tail lights. 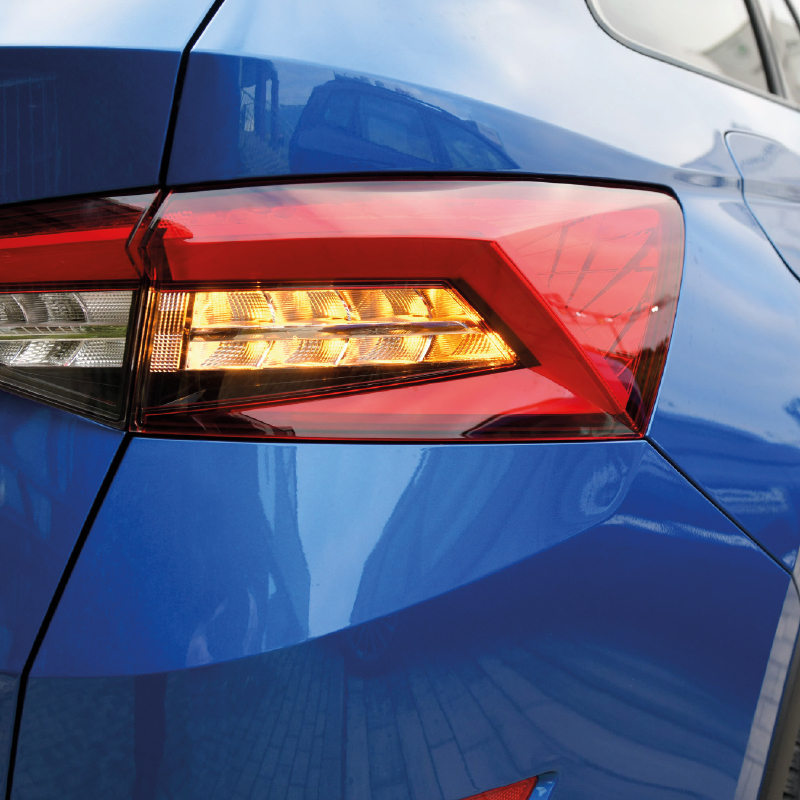 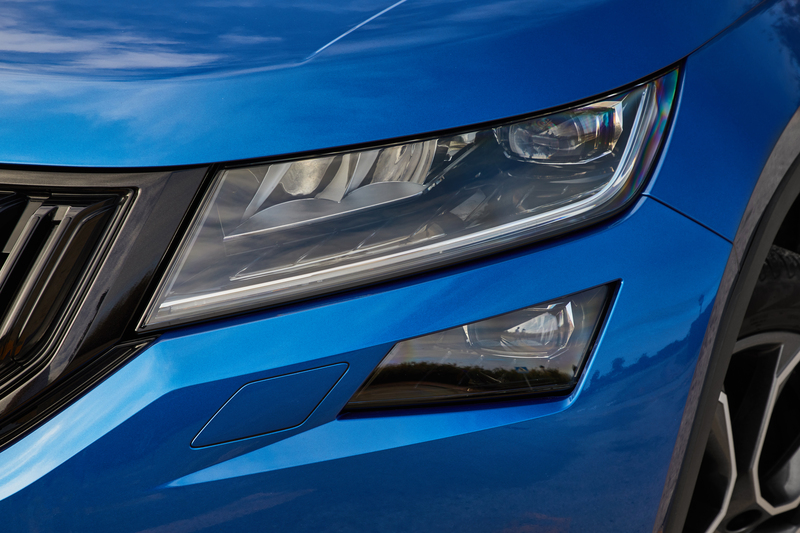 In the most advanced headlamps – full LED – the dipped beam, full beam and indicators consist exclusively of LEDs. 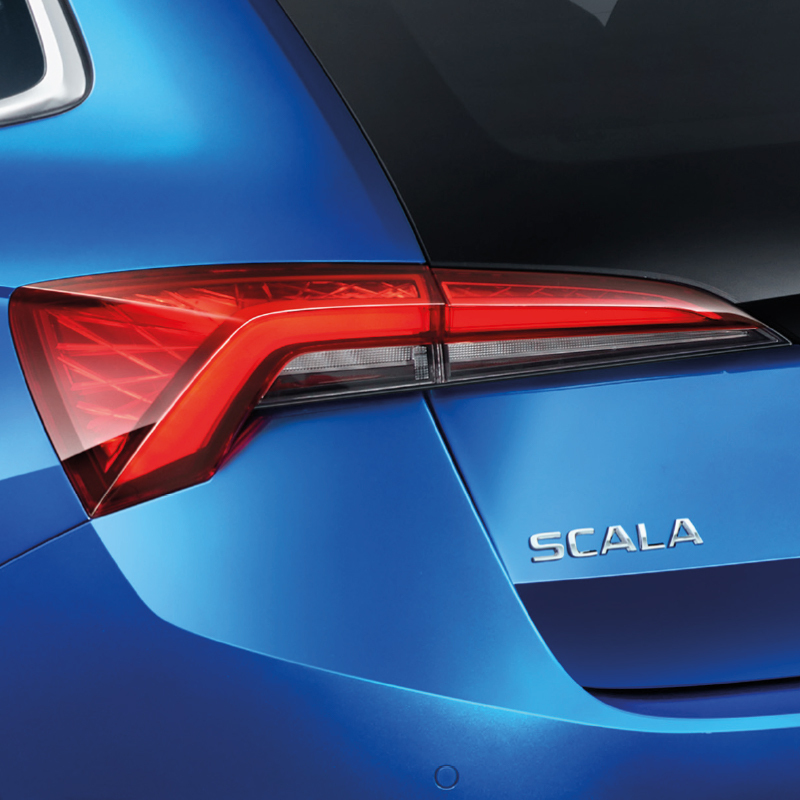 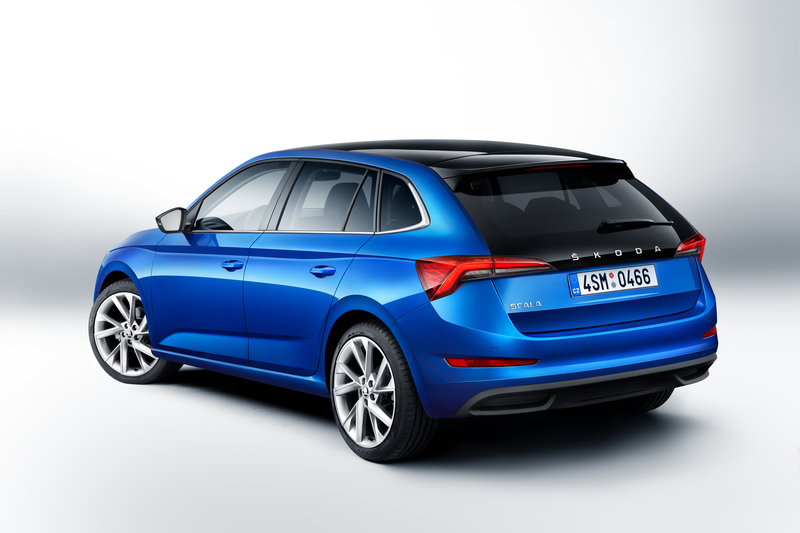 The SCALA is the first ŠKODA to offer dynamic rear indicators as an optional extra. 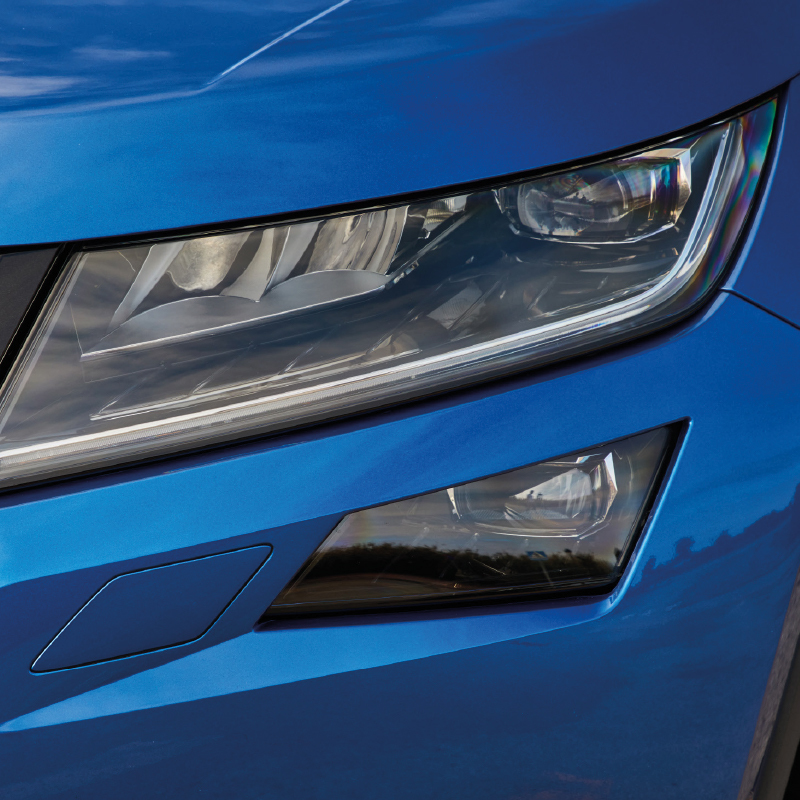 The indicators comprise individual LEDs. 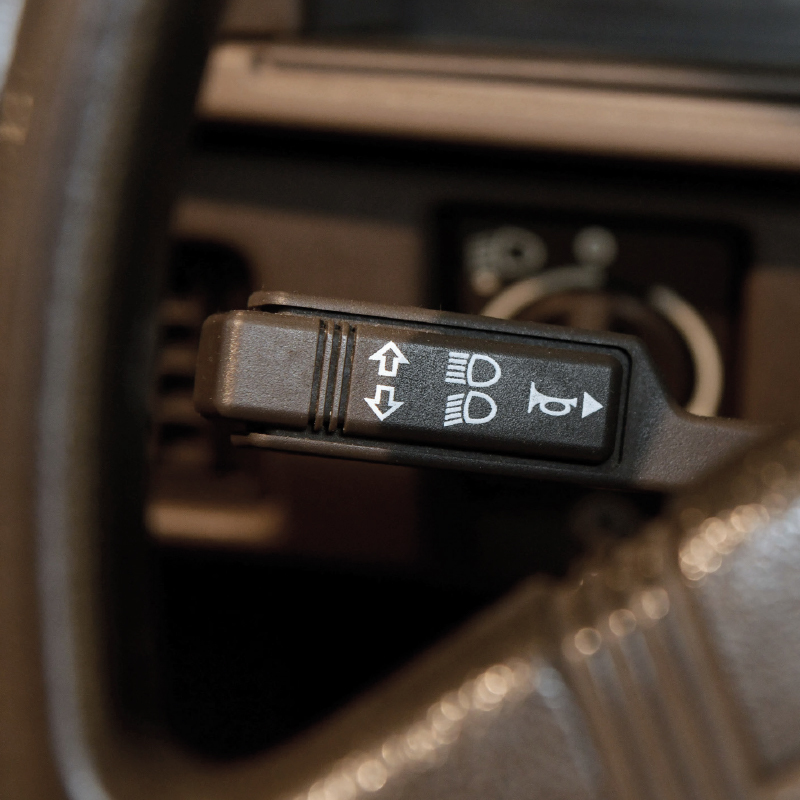 When the driver turns the indicators on, they flash outwards in a sweeping motion. 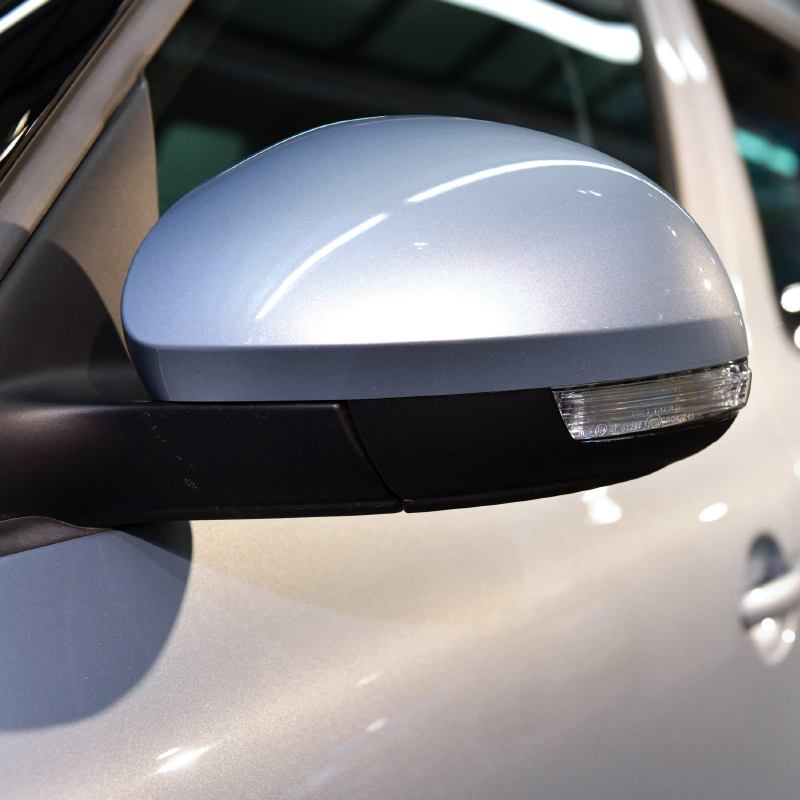 Dynamic indicators are easy to see for other road users, even in bad weather, making them an important contribution to improved road traffic safety.